This Is How To Make…Oh, Wait…Am I “Columbusing”? In this country’s diverse food climate created by easy access to knowledge and resources though the interwebs, it’s easy for food-centric websites, companies, and blogs to commit the act of “Columbusing”. For those of us unfamiliar with this term let me first provide the definition which is simply: the art of discovering something that isn’t new. 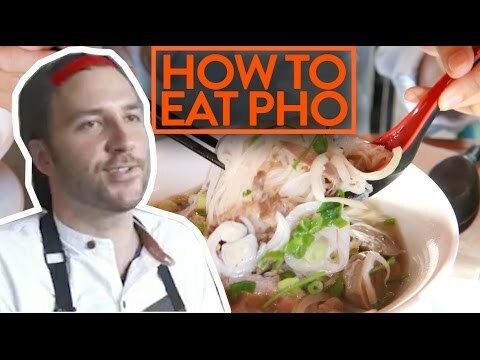 Bon Appetit created a video in which they asked a White chef from Philadelphia by the name of Tyler Akin to present to their readers and viewers the “proper way to eat pho”. As I’d hope our readers of CaliPlate would know is that pho is a Vietnamese soup. With that said, it is obvious to us that the fact Bon Appetit asked this chef as opposed to a Vietnamese chef (or at least one with Vietnamese ancestry) is really what makes this video an act of “Columbusing”. Bon Appetit apologized for this, saying essentially that they would be more mindful of the language of their posts in the future; instead of featuring a “how to” guide on an ethnic food they’d like to showcase, they’d aim to use language of appreciation. This still leaves the problem of Bon Appetit giving its viewers misinformation because they never said they’d search for someone more suitable to talk about pho. This clarifies that no one in the creation of this video: writers, editors, videographers, or even Akin for that matter, took the time to check themselves and evaluate whether or not they’re portraying themselves as appreciators or appropriators. It was not only an example of “Columbusing” due to the language of the post and the video as they described, but also because Bon Appetit appeared to have not applied any effort to find a Vietnamese chef instead of Akin. This is obvious to any individual who has respect for various cultures and the foods within them. If the effort had been made, this article and video might have been a show of appreciation for this fragrant, soul-warming dish and thus the post might’ve been more informative since someone more well-versed in pho would’ve given ample commentary. Instead, it became one Bon Appetit’s was “Columbusing” because pho is not new, and it was portrayed as a newly discovered dish. If you’d like to know the “proper way to eat pho” from someone of Vietnamese ancestry, all you have to do is ask. Cultural appropriation of food occurs on the Internet like this all the time. Look up an article on food items such as: kale, kombucha, gumbo, collard greens, ube, or any ethnic food; you’ll find a literal plethora of articles written by a writer, blogger, or even companies (more often than not they’re of a culture separate from the food or cuisine they’re writing about) showcasing the food as something “new”. These foods have existed as staples in their respective cultures for centuries, and writers/bloggers as well as companies like Whole Foods aim to package them as “new” in order to gain attention or profit. For example, Whole Foods somehow thought it was a good idea to post this tweet with a recipe of collard greens with peanuts in it. In my experience when I’ve been handed a plate of collard greens from a family friend or from the server at a soul food restaurant, there hasn’t been a single peanut to be found. This is just another example of how food is “Columbused” or appropriated to the benefit of someone outside of that food culture. 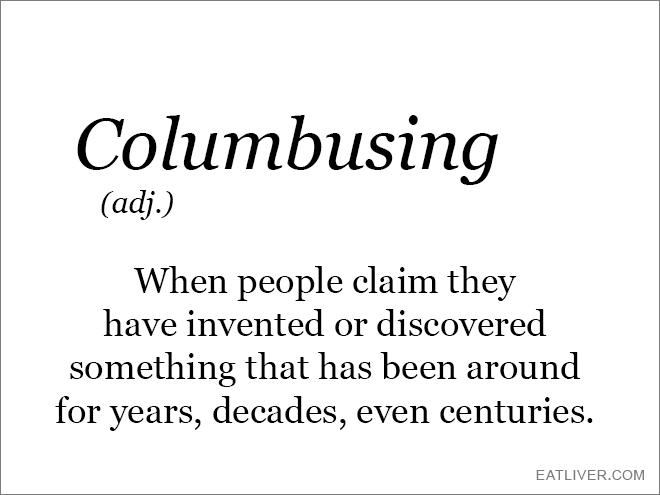 Not only was that recipe disrespectful and insensitive to the source culture but also inauthentic, which is the reason “Columbusing” continues to exist in the foodie realm today. This inauthenticity could easily be avoided by simply asking a reliable source about a food item you’d like to showcase, instead of approaching a food you’ve recently stumbled upon with no idea of what it means to properly respect, prepare, or serve within the culture the food originated from. Whole Foods could’ve dodged that entire controversy via Twitter if they’d just conducted some simple research and asked a notable soul food chef for their collard greens recipe. If someone were to argue on this matter of, “Well, maybe Whole Foods didn’t want to ask an authentic source because they wanted to present a “healthy” collard greens dish”, I’d direct them to notable African-American vegan chef Bryant Terry, who focuses on making the soul food he grew up eating healthier and more sustainable. Terry could’ve given Whole Foods an exquisite, healthy version of collard greens from one of his many vegan soul food books that would’ve been more rewarding to share for both the company and its Twitter followers. Furthermore, it would’ve been without all the appropriation their origin source, Kathy K, Downie, a White food and nutrition editor with no original background in soul food, inflicted on the company’s Twitter followers. In short, If you want to talk about a certain food or dish that doesn’t belong to your culture, ask a reliable source and document that and what they’ve told you. Be mindful that just because a certain food, dish, or cuisine is new to YOU doesn’t mean it’s new to anyone else. Food items have existed centuries if not millennia before you, so when you want to write about a trendy, “new” food, do some research AND ask someone of the culture about that food. It’s not 1492 anymore, saying that something is of your findings or creation is not acceptable anymore. It’s important to give credit where it’s due, for the sake of being genuine in what you present to your readers or viewers as well as displaying an accurate representation of the food and the rich culture it originates from. Most importantly, check to make sure your being respectful before hitting that “publish” button. When have you seen “Columbusing” on food websites? Was anything done about it like the cases mentioned above? Discuss in the comments below.